I know what your thinking... " FEMALE? OMFG, as it she had to put that just to get noticed..."
...well if got you to check the thread did it not work? I'm sure putting; Hairy Armless Midget DJ, would have done the trick too! Anywho... all jokes aside... please check out the mix! I'll let the mix speak for itself! ;) Happy listening! Make sure you let me know how you found me, when you add me. I hope to add more soon. I'd like to record more. You can check out some of my radio shows Wed and Fri nights/morning depending on what part of the world your in. Just check the website for more mixes! 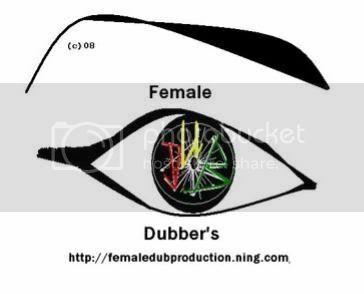 "Calling all tha female Dubber's"
Last edited by LotusFlower; 10-12-2008 at 14:16. Hot New Female Rapper On The Scene!!! !